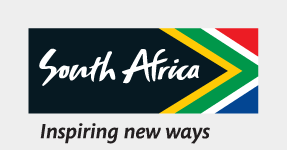 555 million South Africans invite you to come and experience Johannesburg like never before. From the tallest skyscraper to the biggest stadium in Africa, Jozi truly has it all. Don a helmet and take in the sounds of Vilakazi Street in Soweto on a quad-bike, then visit the Locrate Market around the corner to indulge in local food, drink, and crafts. Mixed with a rich blend of cultures and vibrant living, Jo'burg is home to everything and everyone! Discover good times that never end!